The dense plotting of glistering white stones close to the pinnacle that short offers thanks to a lighter sprinkling of slightly larger stones accentuate the sweetness of bangle additional. The bangle seems to symbolize power and authority in its every aspect, which makes it a perfect choice for females with strong personalities. 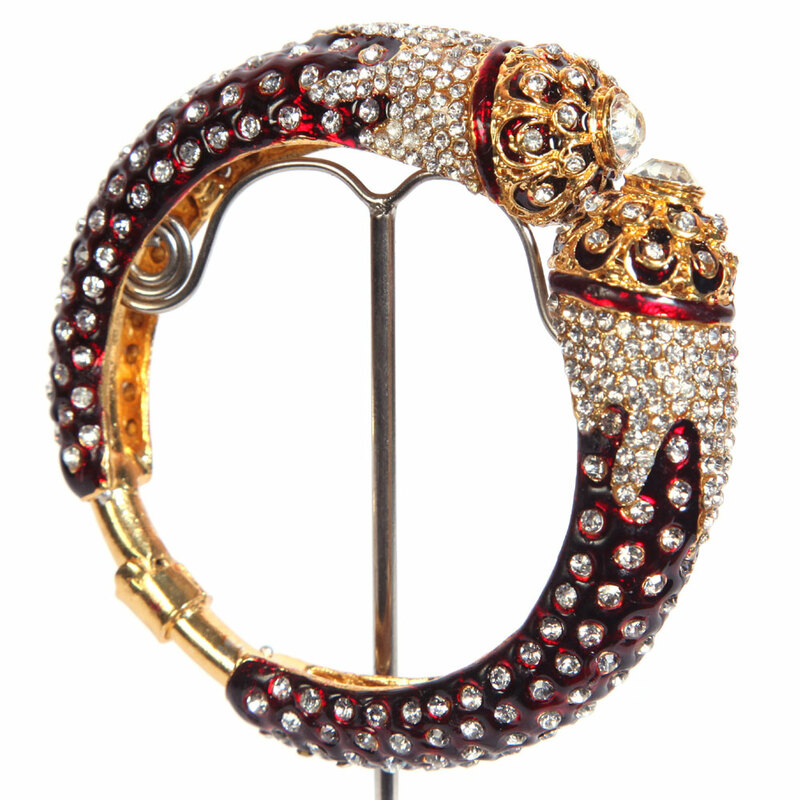 The dense Read More..plotting of glittering white stones near the head which abruptly gives way to a lighter sprinkling of slightly bigger stones accentuates the beauty of bangle further. Show Less..